Located in New Orleans, Louisiana, we handle cases in state and federal courts throughout southeast Louisiana. 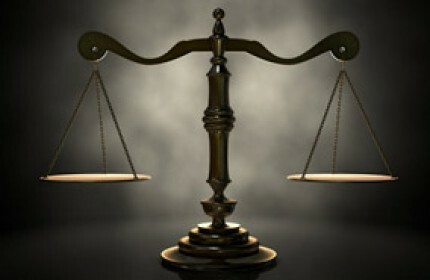 The attorneys at Calogero Law Firm have many years of experience helping clients recover compensation for injuries and damages in the areas of Personal Injury, Wrongful Death, Automobile Accidents, Medical Malpractice, Defective Products, Airplane Crash Litigation, Contracts, Equine Law, Insurance Claims and Business Litigation. FOR MOST CASES, WE WILL REPRESENT YOU ON A CONTINGENT FEE BASIS. THAT MEANS THAT YOU ARE NOT CHARGED ANY FEES UNLESS WE WIN YOUR CASE. Gerald Calogero is an exceptional attorney and the best attorney I’ve ever had. Gerald represented me and my family in an extremely difficult medical malpractice case against several doctors and hospitals. After working up the case for several years, Gerald obtained a $500,000.00 settlement – the maximum possible award in medical malpractice cases in Louisiana. I was seriously injured in a car accident several years ago. I retained Gerald Calogero to represent me. Gerald did a great job on my case – he settled my case for $200,000.00, and he was very easy to work with. I hired Gerald Calogero to represent me against a big oil company in a case involving property damage resulting from Hurricane Katrina. In my case, the oil company was represented by a prominent law firm in New Orleans. Gerald Calogero successfully litigated my case and obtained a very good settlement for me. I would highly recommend Gerald Calogero to anyone who needs a lawyer. Gerald successfully represented me in a lawsuit involving the right to recover insurance proceeds. Gerald Calogero did a great job on my case and I was very pleased with the result.